Do Facebook likers mean anything? WE NEED MORE FACBOOK LIKERS! I hear businesses cry out. But does it really make your business any more of a success if you have 10,000 likers or just 10? All you have is an extra marketing avenue, which to be honest, is so heavily controlled by Facebook that you are probably not reaching the huge amounts of people you think you are. The key thing to remember is, worry about your business, not how many likers you have. Having a high Facebook count doesn't make you a success, YOU make yourself a success, working on the business that you love and are passionate about and your liker count should be reflecting that passion. It should be an indication of appreciation of your work or your company in general, not how popular you are with complete strangers. If Facebook died tomorrow, would your business die too? If you work hard on your designs, products or services and then share you work through social media with photos and videos, or just blog about your latest ideas, then people will naturally become interested in what you do and feed off your passion. They will like and share what you have shown them, and the people they share with will share again and the cycle continues. Before you know it you have the liker count you wanted so badly before but now the likers are there because THEY want to be there and are keen to know more about your business. They are not there because they.. well in simple terms... were spammed until they gave in and have probably unliked and moved on because you have zero content because you are too busy trying to get likes! I still find it amusing to watch my liker count go up at competition time and then quickly down again when they realise they havent won and these are the likers you ideally want to filter out. The main thing is to just enjoy what you do! Don't spend hours staring at a computer screen thinking 'why hasn't anyone liked my page today'. A Facebook liker count is not a definition of your success and nor is it a sign of how good your work is. It most certainly doesn't represent your talent, skill and the whole world is not on Facebook! and some, not even the internet. How do you crochet foundation chains? With our new crochet channel on HappyBerryCrochet I hope to introduce lots of different crochet tutorials that also include information on the differences between UK and US terminology. I also want to make some How To videos on areas of crochet that are not often discussed or taken as a given. If you have any suggestions just post a comment below! 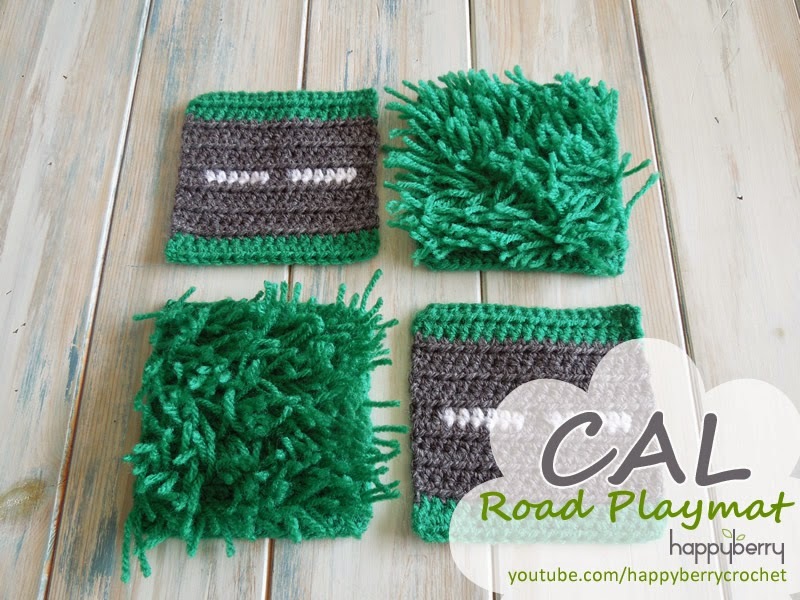 One of our first videos is a simple introduction on how to crochet chain stitches which can then go on to making a scarf or a blanket. How to crochet, well ... my HappyBerry patterns at least. Oh my, I just can't believe how long it has been since I last blogged something and I have so much to talk about, not much change there! I've been reluctant for a long time now to do crochet instructional videos, mainly because there are so many other wonderful YouTubers out there who already do that but what I have noticed is that none of them really go into the differences between US crochet terminology and UK terminology. Also a few people have contacted me asking how to work the beginning couple of rounds on a lot of my shoe patterns and this is a confusing technique to learn. In fact, when I first started out crocheting this technique, which at the time was for a bag, it completed eluded me. 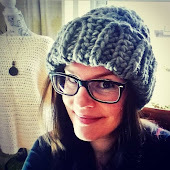 So this and the above reason has led me to finally bite the embarrassement bullet of my posh English accent and start some crochet tutorials, based around my designs and patterns. So what else have I been up to, well I've finally launched my new website store so that you Ravellers who don't enjoy Facebook can also get access to my patterns. I think it's going fairly well, no major complaints yet! (she says now). The wonderful thing is, is that I can now reward my customers with rewards points. Evey pattern sale made through www.happyberry.co.uk now receives reward points which can be put towards any patterns for sale on my website, even partly for small discounts so it's worth signing up! I'm also working on some other videos which are about my adventures, stuff I get up to and places I explore when I'm not crocheting. I love to wander off and explore strange places or just go somewhere new so after being inspired by a wonderful J-vlogger (Japanese Video Blogger - I'm slowly understanding the lingo!) on YouTube called SoftyPapa I've decided to finally take my viewers along with me, starting with a trip to a local vineyard. Please be kind to my awful appearance he he. Maybe some of you will find this interesting, I hope so.